There is a grace in symmetry, a poetry in a life incredibly well-lived. And electricity when the wisdom of the past illuminates an unknown future. 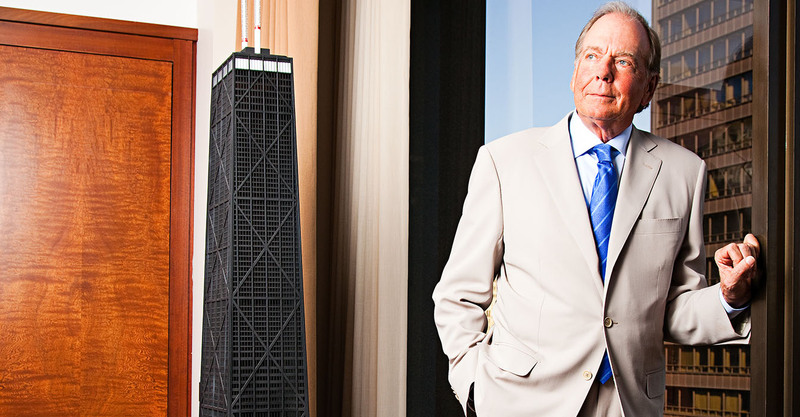 Corboy & Demetrio founding partner Thomas A. Demetrio at 71 is one of the country’s most renowned lawyers, and privately one of its most reflective. He’s been famous in Chicago for decades, as well as within every elite trial lawyer organization you can find. He has won trailblazing verdicts from juries and has acquired more than a billion dollars in verdicts and settlements. He started his career in the wake of his brother’s death during a botched emergency appendectomy, for which a lawyer who had previously worked for Philip Corboy acquired $750,000 for the family, then the largest medical malpractice settlement in Illinois. What inspired him to be great was Corboy himself, a courtroom master who took Demetrio under his wing and taught him to soar, seating him alongside the nation’s masters who taught him all their secrets. Demetrio is the rare courtroom giant who is more focused on forecasting the future than burnishing the past. That’s due in part to the serendipity of a videotape watched hundreds of millions of times, in which Dr. David Dao was forcibly removed from a United Express flight at O’Hare Airport. More than a year later, Corboy & Demetrio still receives phone calls every day from passengers claiming abuse at airports from O’Hare to Tokyo Narita. Lawdragon: Tom, you’ve done it all as a trial lawyer. I was thinking back to when you’d go to court and watch trials when you were starting out. That there’s a connective tissue between why someone becomes a trial lawyer and the reverence with which you studied the great trial lawyers who came before you. Thomas A. Demetrio: You know, that’s right on. Before I started out, I went to IIT-Chicago Kent College of Law, a law school of which I am now chairman of the board. My trial advocacy instructor was an associate with Philip H. Corboy and Associates. His name is Richard J. Phelan. He was a very, very good trial lawyer and his course got me interested in it. I thought, oh boy, this is fun. As luck would have it, right out of law school, after the bar exam – I took the Illinois bar then the Florida bar – I started work for Corboy. Now that’s November 1973 and Corboy was pals with all the greats: Bill Colson in Miami, Bruce Walkup in San Francisco, Ted Warshafsky in Milwaukee, Lex Hawkins in Des Moines, Iowa, Melvin Belli in San Francisco, Scotty Baldwin in Texas, Jack Fuchsberg and his brother Abe in New York. I got to spend time with these gentlemen. I read many of Colson’s final arguments as well as those of other great early trial lawyers. LD: You studied the greats – with them! Like the collective brain of being a trial lawyer. TAD: Oh, my Lord, yes. The great thing about trial lawyers is plagiarism is expected. You’re a fool if you don’t take advantage of that. I did. LD: Is it true Phil had a philosophy of taking every case that came in the door? TAD: Yes. You see, he didn’t have partners, he had young guys and all these crummy cases. He had good ones, too, but I never saw those. And this is back in contributory negligence days in Illinois, where if a client was one percent at fault, she got nothing. It was a challenge for a lawyer to try these cases – and they all got tried because Allstate, State Farm, etc., refused to offer money. Phil’s view was twofold: One, in taking this case, that’s one more doctor you’re going to meet, it’s one more policeman you’re going to meet, it’s one more judge you’re going to be in front of, it’s one more defense lawyer you’re going to befriend. It’s a people business we’re in and that’s how you get your next case. That police officer may refer you his brother. That was Phil’s marketing strategy. The second reason was it was an opportunity to have young lawyers stand up to pick a jury, etc., and gain confidence. Fast forward to the ‘80s. Law schools across the country were doing an exceptional job training future trial lawyers. Advocacy programs were becoming more and more vital to the law school experience. So young lawyers would get out of law school and say, “I’m going to be a trial lawyer!” At boutiques like ours, they were able to try a lawsuit sooner rather than later. But, at one of the big firms, the kids never saw the inside of a courtroom. If they ever did it was to bring a document to the senior partner. Yet, law schools are continuing to teach trial advocacy. Chicago Kent is well known for its trial advocacy program. That’s going to continue. At Corboy & Demetrio, we only use law students, we don’t use paralegals. Our hiring pool is from the five local schools. One clerk will always stand out. They’re here for two years, and they learn our way of life. We want that youthful enthusiasm. I fear most law students are going to be disappointed when they go out into the world, because they’re not going to be trying lawsuits like I was able to do. LD: What inspired you to go to law school in the first place? You had been in the Army Reserve during Vietnam and almost took a job selling bedpans. Your father owned Tynan’s restaurant, a popular gathering place for Chicago lawyers and judges. TAD: Honestly, I went to law school so I wouldn’t have to go into the real world. But a week before I started, my older brother died unnecessarily through a medical goof up. I’m often asked, “Did you take this path doing medical negligence work because your brother died?” No, that’s not why I did it. It was a bad time, but I separated it. I wasn’t saying, “I’m going to go get bad doctors.” The reality is at our firm, for a variety of reasons, we reject 21 out of every 22 medical negligence cases that come to us. The irony is doctors don’t appreciate we’re their first line of defense. Now fast forward to current times. And this is not limited to Chicago. Trial by jury is becoming a dinosaur. LD: Let’s talk about that a bit. What is the cause of that? TAD: What’s taken over our niche is mediation. Many of the judges at our courthouse across the street, after they retire, become mediators. Mediation now represents, as far as dispositions go, 80 percent of our business. Every case gets mediated. The good news is the client gets his or her money sooner rather than later. Thus, no risk of a jury or Appellate Court doing something silly. And that applies to both sides now – the insurance company worried about a runaway jury or a plaintiff worried about a stingy jury. LD: What other changes do you see that portend a different future for trial lawyers than the career you’ve had – which was perhaps between you and Mr. Corboy the Golden Age of trial lawyers? TAD: I believe we have too many lawyers. It’s a problem I see, and I have no problem stating it. What’s happened is plaintiff law firms are now like Starbuck’s. They’re everywhere. They’re popups. I get a sense that a lot of cases are settling in mediation because the electric bill has to be paid. I’m not being cynical, it’s just the reality I see now. I spoke at an Illinois Trial Lawyers Association seminar earlier this year and chastised two trial judges who remitted two very significant cases, one of which was ours. We won a $22-million verdict for the death of a young mother leaving a baby and a husband. $20 million of it was for non-economic damages for the loss of love and affection. The trial judge said, “You know, while this does not shock my conscience at all as a judge, I think it’s too much money. I’m going to reduce it to $10 million.” The second case was an $8-million jury verdict, and the judge arbitrarily reduced it to $4 million. I told my audience they needed to become proactive, like the kids who marched out of their classrooms in Florida over school shootings. They also needed to get angry and take action. When those Florida kids become trial lawyers, they’re not going to sit back and accept, without a fight, inappropriate judicial activism. We spend a lot of money politically, we spend time and energy on behalf of our clients only to have a trial judge take away what 12 people with hundreds of years combined experience in life decided a particular case was worth? That’s not right. It tells a lawyer and client maybe we’d better mediate and settle so we don’t have to worry about some judge taking away a great verdict That’s my fear. I must say the world of civil law is a necessity. People don’t really appreciate that until they need it. But, when they do need it, they get it. All in all, it’s been a very satisfying way to spend a professional life – being a trial lawyer. LD: You must have so many examples of that. TAD: You know, I’ve seen so much, including a young lady who served in the Navy and was rendered a quadriplegic when she was blown off a porch in hurricane winds. A family friend of hers (who happened to be a lawyer, no less) started dating her and she got pregnant, which in the world of quadriplegia is rare. She went to the Rehabilitation Institute of Chicago to learn how to perform motherly duties in her disabled state. The man brought a lawsuit against her seeking sole custody of their child on the grounds she could not – as a quadriplegic – be a fit mother! I was asked to represent this woman, which I gladly did on a pro bono basis. It was she who was awarded custody and has proven to be the mother of the century to her son. LD: We really should talk about Dr. Dao. You’ve had many more cases since then – including the Aeromexico crash this year – but you became famous worldwide with the Dr. Dao case. TAD: We knew what to do with the Dao matter. While a lot of my peers think the media is our enemy, we held a major press conference which was viewed worldwide. Indeed, it was the media who helped spread our message that corporate America needed to start treating the consumer with respect. The media picks up what it wants to pick up. If the shootings in Florida had happened at the same time, nobody would know who Dr. Dao was. If it had not been captured on video, nobody would know who Dr. Dao was. To obtain significant media coverage, everything’s got to be a perfect storm in our little world. TAD: You bet. Once you’re not, what’s the point? LD: What advice do you have for our politicians? TAD: I was thinking about the future while I watched 16-, 17-year old kids go one on one with Senators Rubio and Nelson, over their inaction on gun control after the Florida shootings. Sooner rather than later these kids are going to be able to vote. And if these politicians don’t understand that, then they will be looking for new employment. I also realized there are going to be other battles including the right to trial by jury and protecting the 7th Amendment, which are going to be important to our youth. There’s going to be a whole new generation that really cares about the Seventh Amendment. Today’s children are, sadly, aware that there’s no adult in the room. About the Author: Katrina Dewey (katrina@lawdragon.com) is the founder and CEO of Lawdragon, which she and her partners created as the new media company for the world’s lawyers. 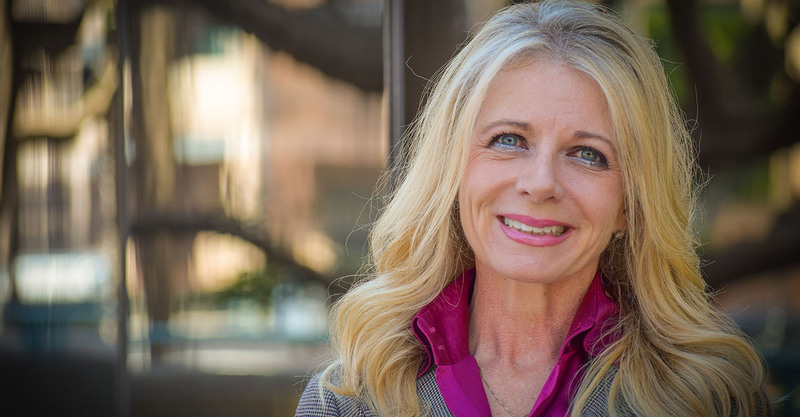 She has written about lawyers and legal affairs for 30 years, and is a noted legal editor, creator of numerous lawyer recognition guides and expert on lawyer branding. She is based in Venice, Calif., and New York. She is also the founder of Lawdragon Campus, which covers law students and law schools.